It is OK to let go, of your LMS. Perform a Google search for the term “LMS is dead” and a cursory glance at the results will give you an idea of what I am talking about. In this post, I discuss why organizations continue to hold on to an obviously underwhelming technology and how that can be easily changed. While talking to many senior learning and development folks, most of them openly acknowledge that they see their LMS as an inefficient and complex, but a necessary behemoth, that they are stuck with. So, they limit themselves to using it for mandatory compliance trainings. Why would organizations continue to hold their learning and training needs hostage to their LMS? Why are they not striving to get the benefits of online learning for 80% or even 50% of their training needs? The current LMS landscape has constrained the imagination of most L&D folks so much that they find the idea of extending online training to a bulk of their needs as outrageously laughable. 1) It is too big to replace – The incumbent LMS vendors have successfully planted this notion of bigness and complexity of LMS in the minds of L&D leaders. They have done this by doing what they do best – providing bloated software that takes special expertise to manage and months to roll-out. 2) There are no alternatives – This has, unfortunately, been true for a long time. It did not make sense to change one LMS for another. 3) It is for free – Yes, this is indeed the reason for many – an LMS thrown in free with an HR management system. You can well imagine how much the HRMS vendors value their own free LMSs. None of the L&D leaders that I talked to, mentioned “getting desired value from current LMS” as the reason for not moving away from it. The above reasons are understandable, but are no longer valid. 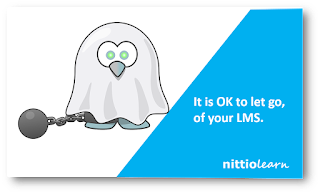 What if you could have a nimble, consumer grade learning automation system that removes your dependency on LMSs and even content authoring contractors? And what if I were to tell you that you could try it out in a matter of minutes? Our learning automation platform, Nittio Learn, does exactly this and directly blows away two of the three reasons mentioned above. 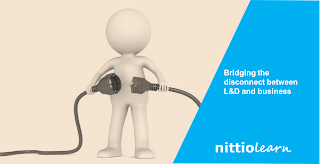 The huge leap with Nittio Learn is that you can take most of your classroom trainings (functional, behaviour, induction…, you name it) online. You decide whether your LMS is indeed free or is costing you a bomb? 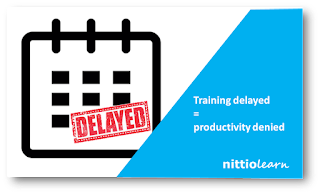 I leave it to you to compute the cost you are incurring on all your classroom trainings that would be done at fraction of the costs with Nittio Learn. 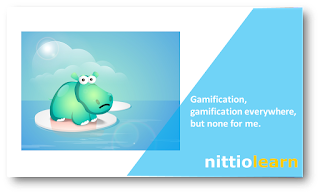 Check it out at www.nittiolearn.com or send us an email at hello@nittio.com.